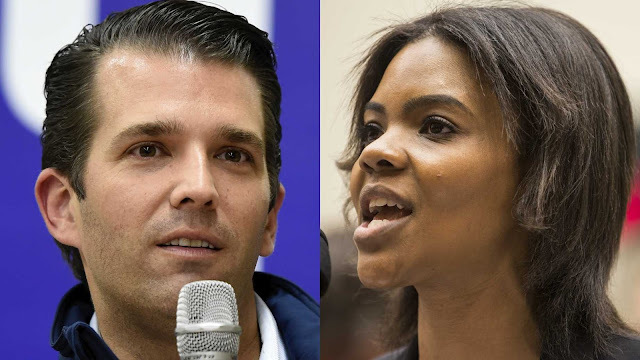 Home / News / Newsweek Gets Pounded For 'Lying' About Candace Owens And Donald Trump Jr. I actually don’t have any problems at all with the word nationalism. I think that the definition gets poisoned by leaders that actually want globalism. Globalism is what I don’t want. So when you think about whenever we say nationalism, the first thing people think about, at least in America, is Hitler. You know, he was a National Socialist. But, if Hitler just wanted to make Germany great and have things run well, OK, fine. The problem is that he wanted—he had dreams outside of Germany. He wanted to globalize. He wanted everybody to be German, everybody to be speaking German. Wow. Well done @RealCandaceO!!! Great to see someone call out the Dems on their purposeful manipulation of facts for their narrative. Since the media runs with anything they say and is the marketing wing of the DNC they aren't used to getting called out for the repeated BS. #FakeNewsweek is being extra despicable today. Why does @Newsweek think its readers are idiots?